← What do you do on a HOT summer day? Hummingbirds are facinating to watch and children and adults of all ages love to watch them. So often in area’s that they migrate through they find a place to stay and return to every year. That is what happens here at Bird Haven Greenhouse in Joliet, Illinois. 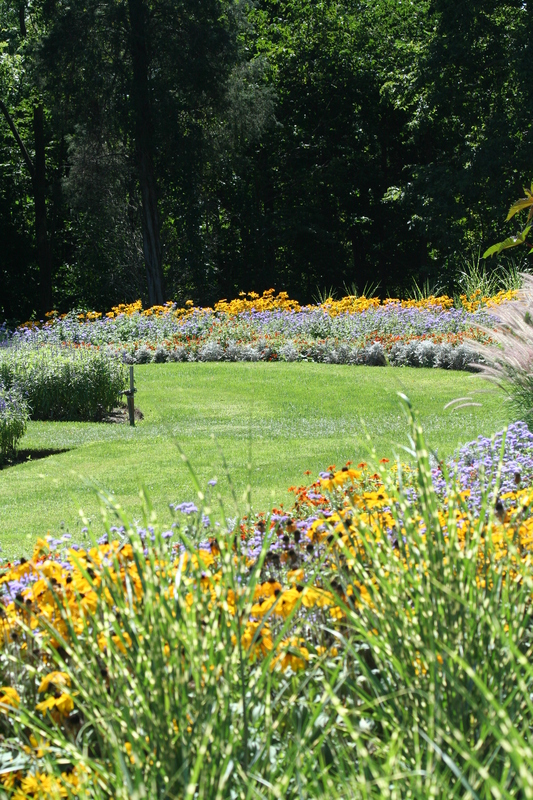 The gardens are perfect habitat for the hummers. First, there is a fabulous garden with hummingbird attracting plants and secondly there is a forest surrounding the gardens that is the perfect place for them to perch and build nests. 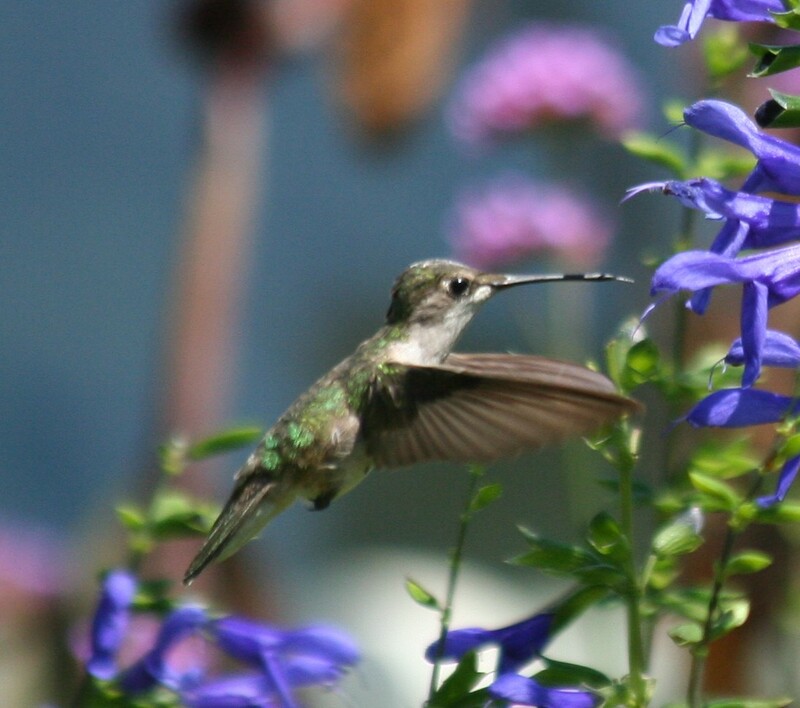 Every year from August until the first cold snap we have hummers! LOTS of them! What kind of plants attract hummingbirds? Anything brightly colored, preferably blue or red with a tube. So, any kind of salvia (they LOVE blue Salvia at the greenhouse and in my yard). Red Canna Lillies, Trumpet Vine, Any color Monarda or lipstick plant or Coneflower. They are all over my yard and all over the Greenhouse grounds and the plants aren’t the same each year. Anything brightly colored with nectar. What about feeders? 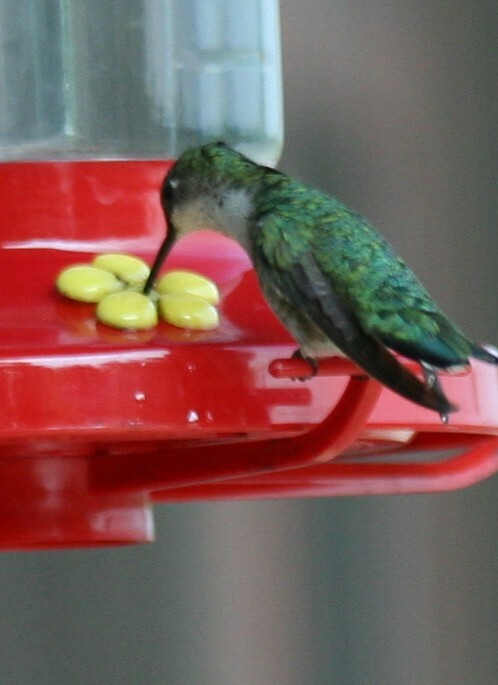 Using feeders is a great way to attract hummingbirds to your garden. Try using any commercial feeder or make your own. Enjoy your summer and the possibilities being outside with children can bring to you. There is nothing more magical than watching children play in nature! This entry was posted in Uncategorized and tagged Bird Haven Greenhouse, children, gardening, hummingbirds, kids, kids n nature, Little Sprouts, Pilcher, Pilcher Park, Pilcher Park Nature Center, Play in nature, Play outdoors, Play outside, Richard Louv, Summer fun, things to do with kids. Bookmark the permalink. 1 Response to Suprise your little one ………with Nature’s Spacecrafts! Hummingbirds! I love hummingbirds! I’ve had a hummingbird feeder in my yard since spring but saw my first hummingbird only yesterday. Next year, maybe I will try planting some salvia. My buddies get to enjoy watching a (small) variety of wildlife, birds and squirrels and occasionally a raccoon. I hope the hummingbird will keep coming back.